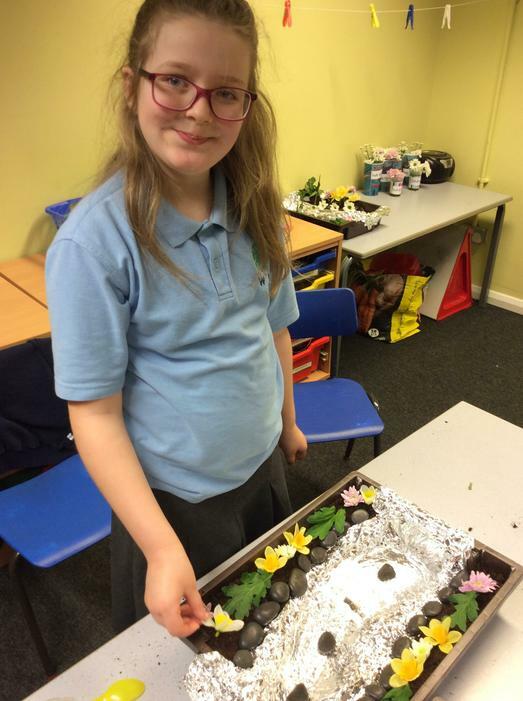 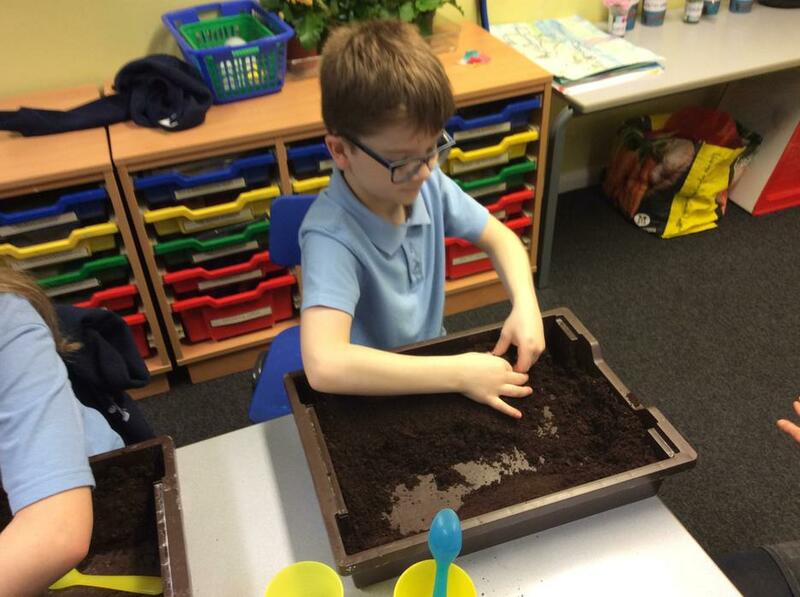 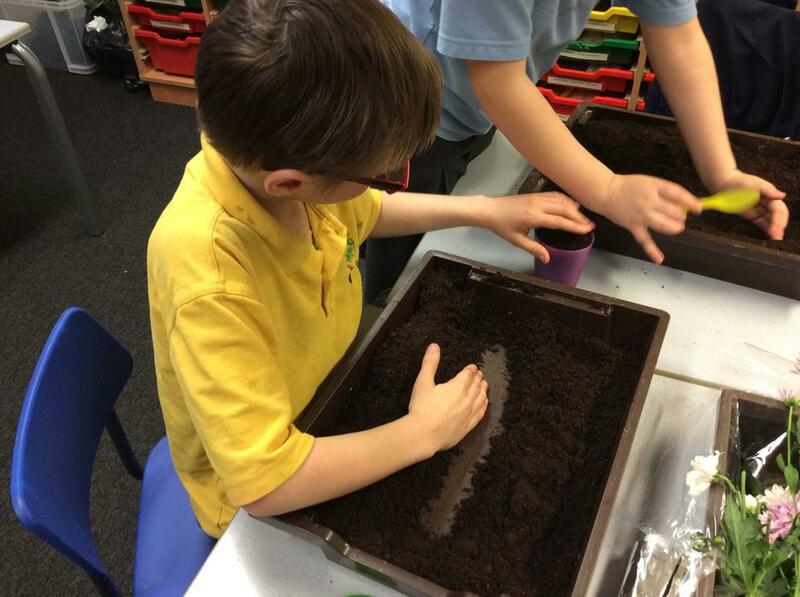 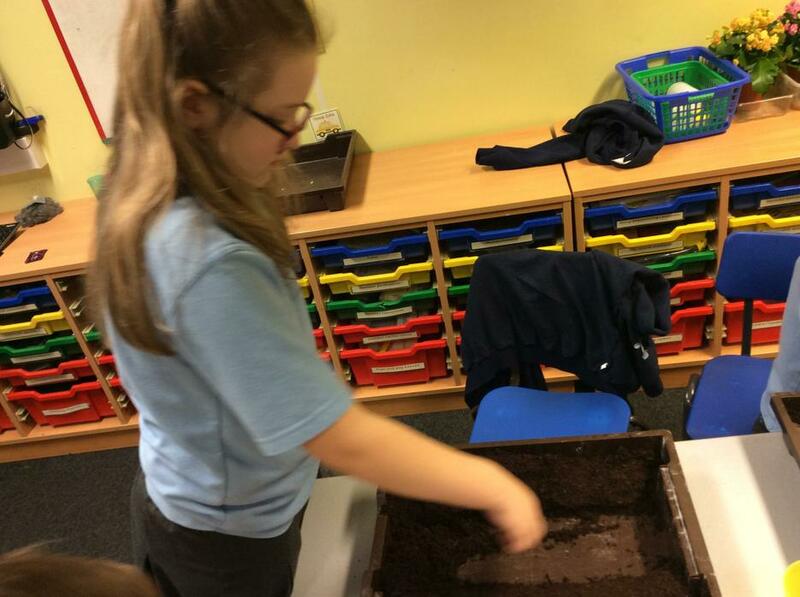 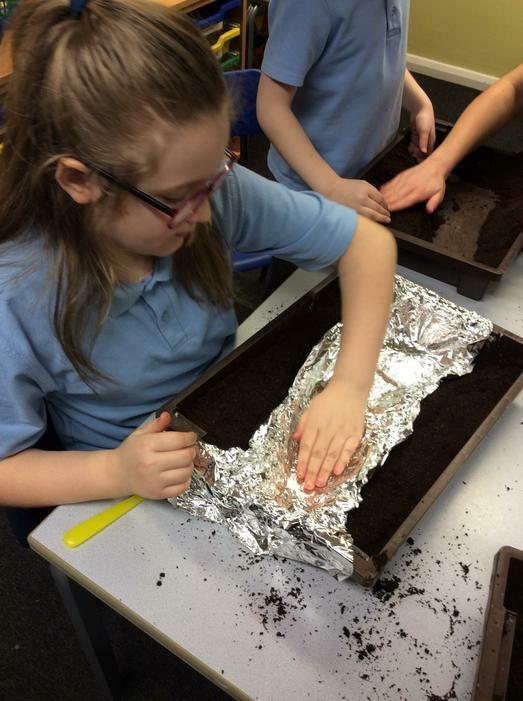 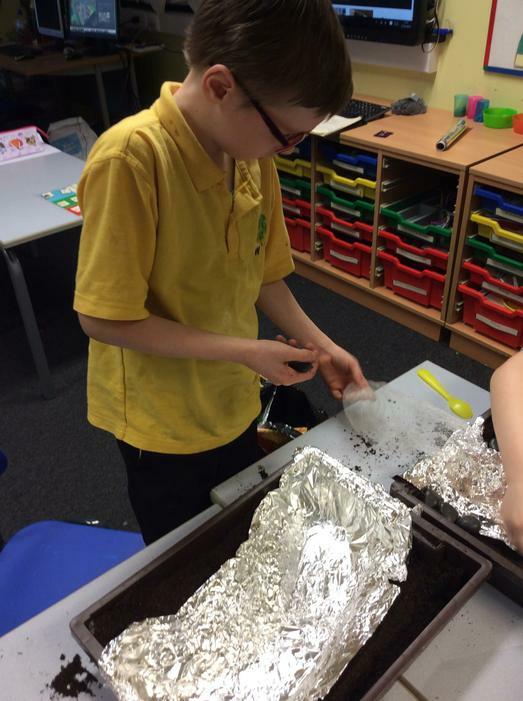 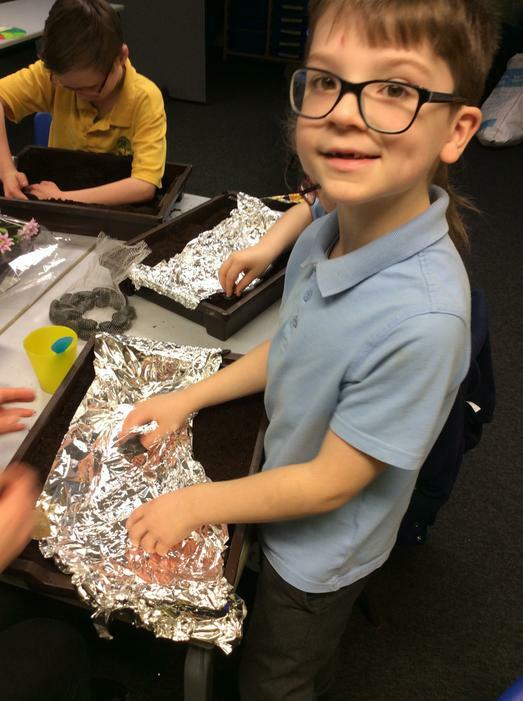 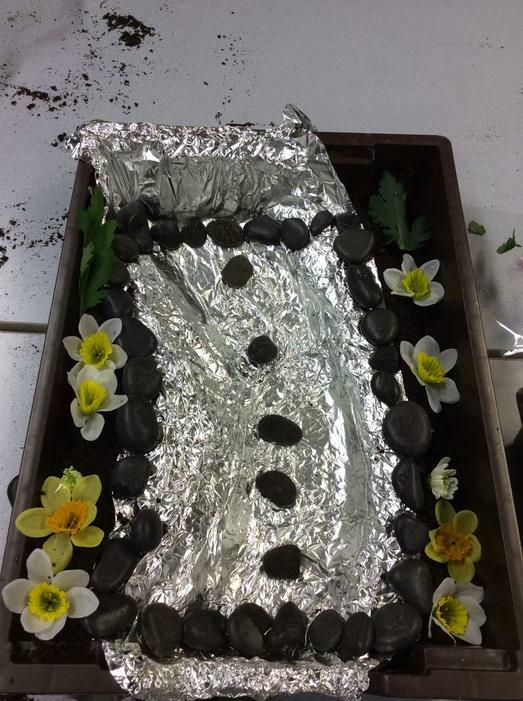 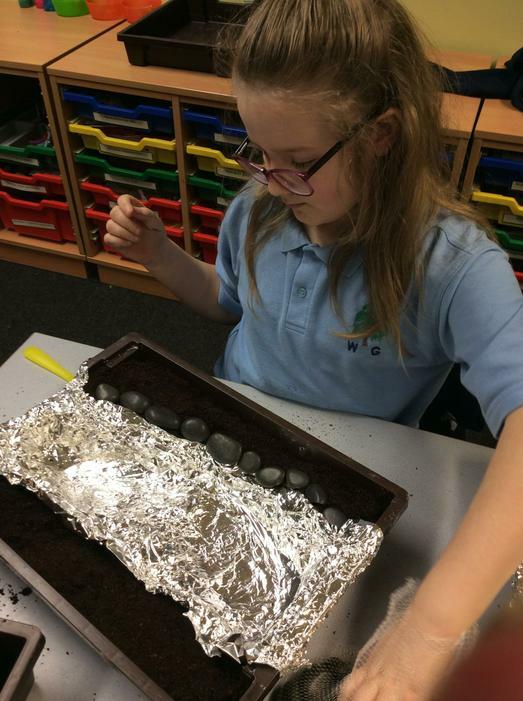 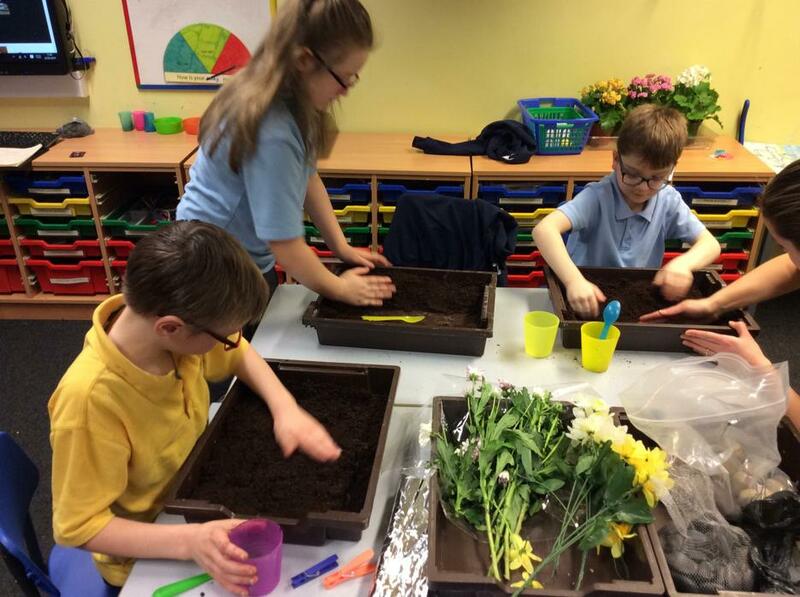 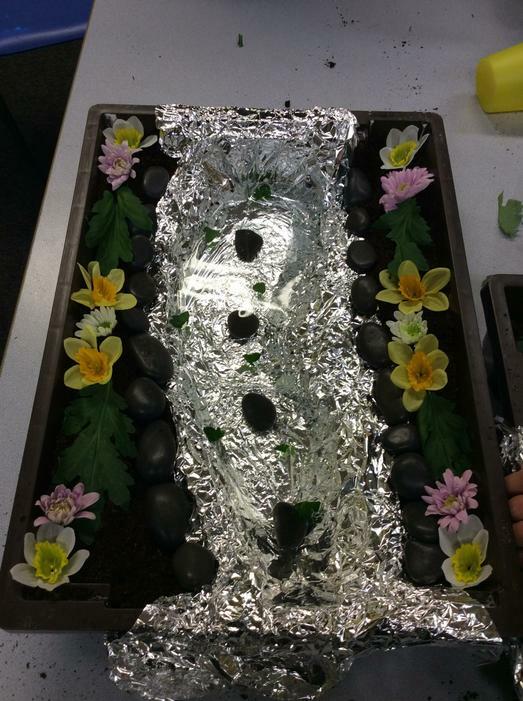 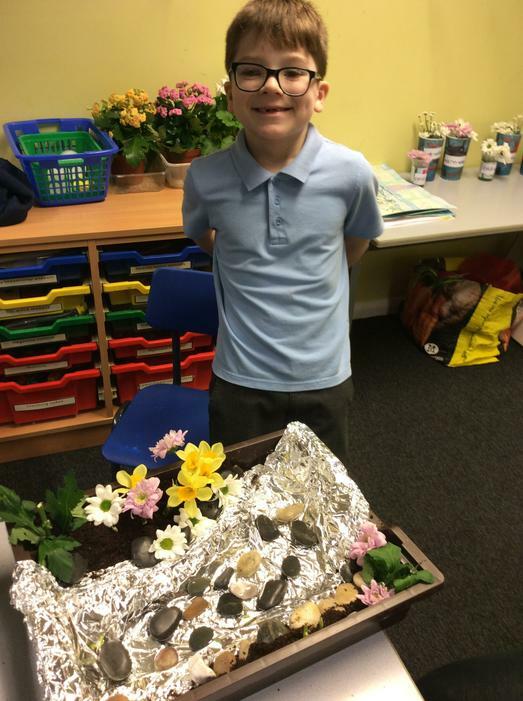 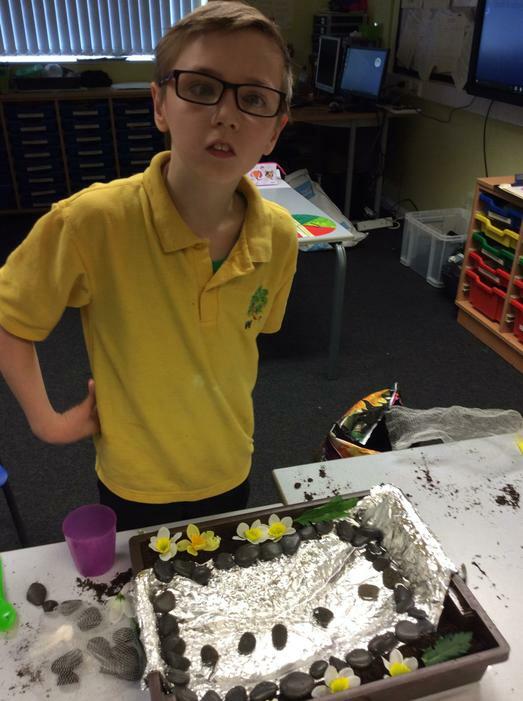 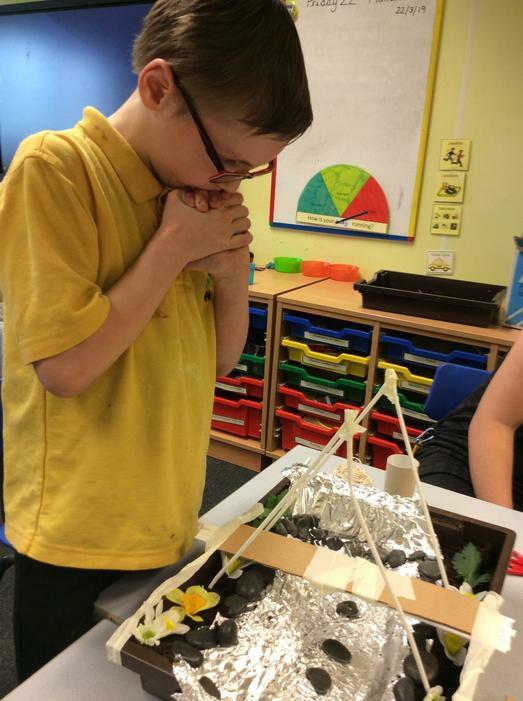 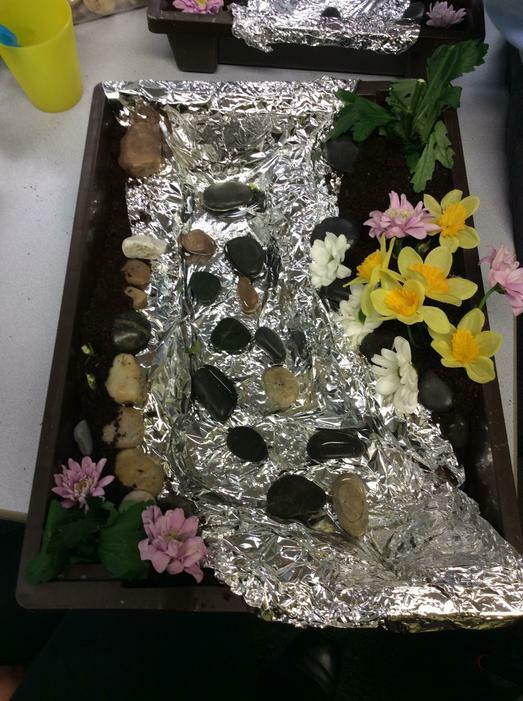 As part of our topic Above and Below, we have been learning about the parts of a river. 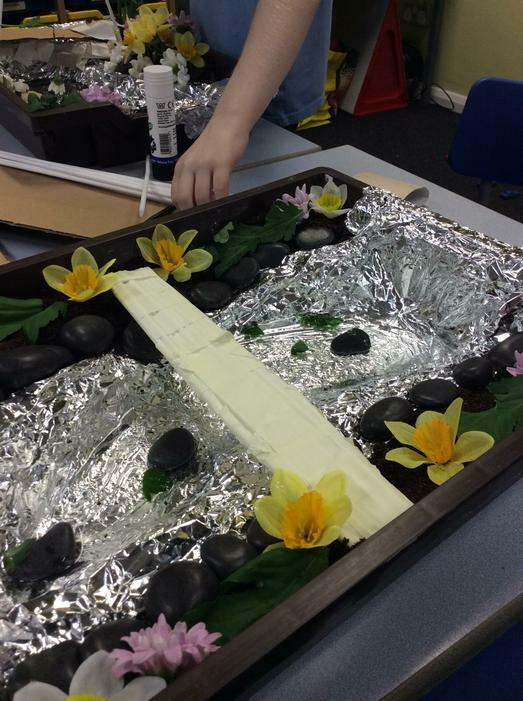 We created our own rivers in trays and then challenged ourselves to design a bridge that would go over our river. 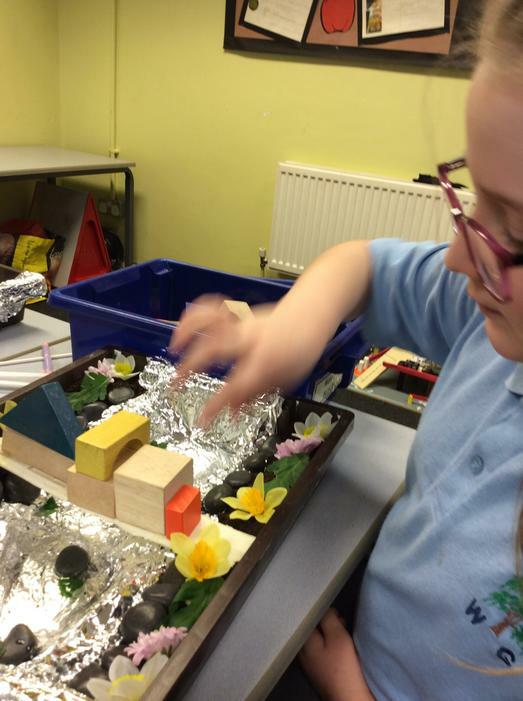 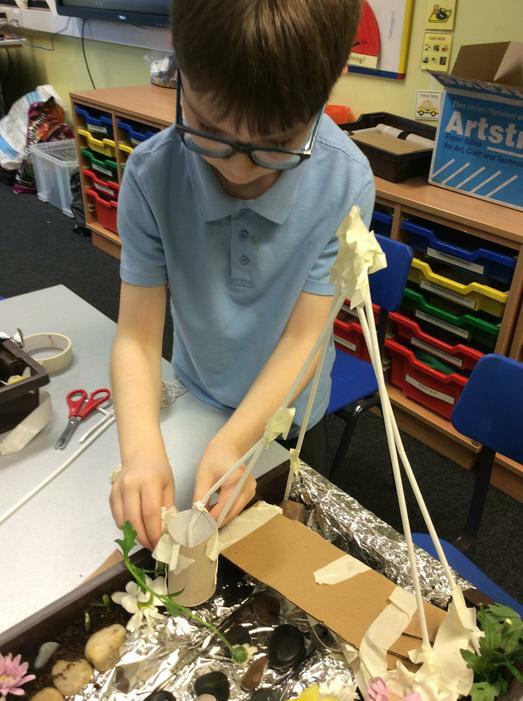 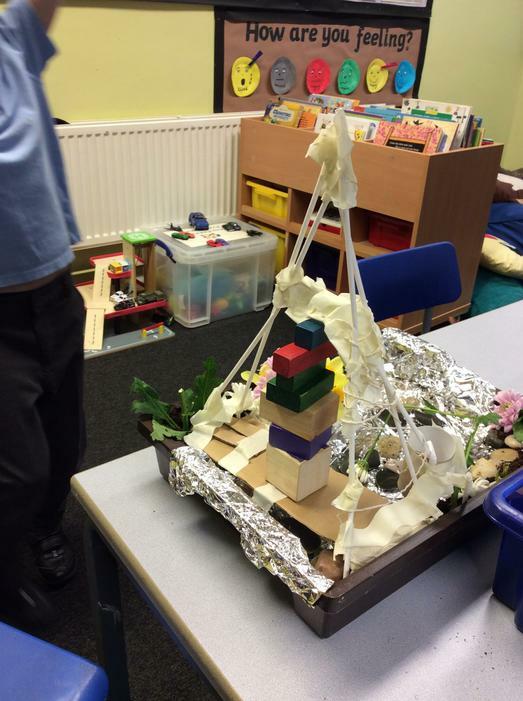 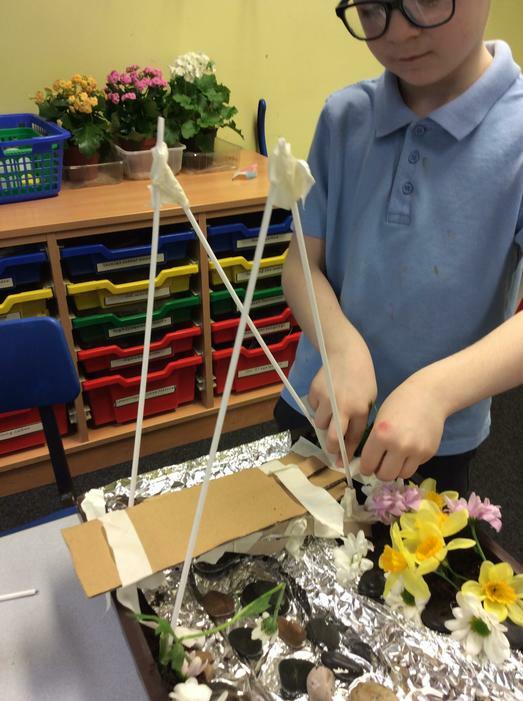 We then tested our bridges to see if they were sturdy and could hold wooden blocks. 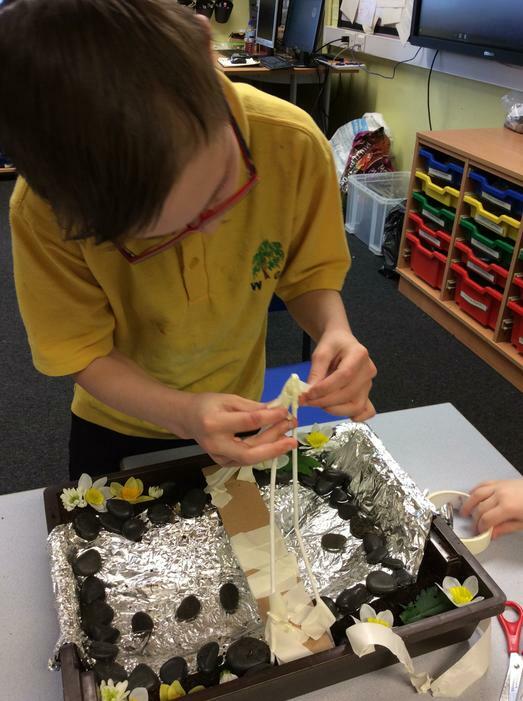 Making our rivers and bridges. 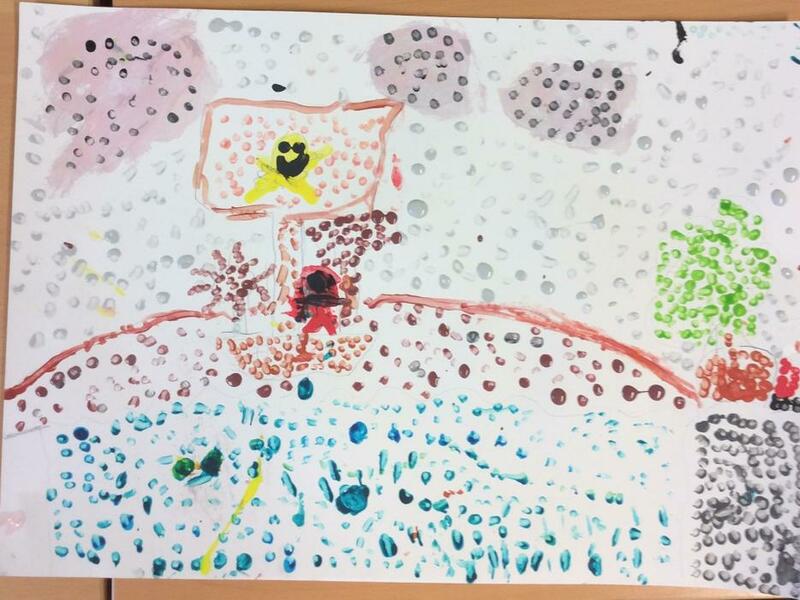 During our topic Above and Below we have looked at the work of the French artist George Suerat. 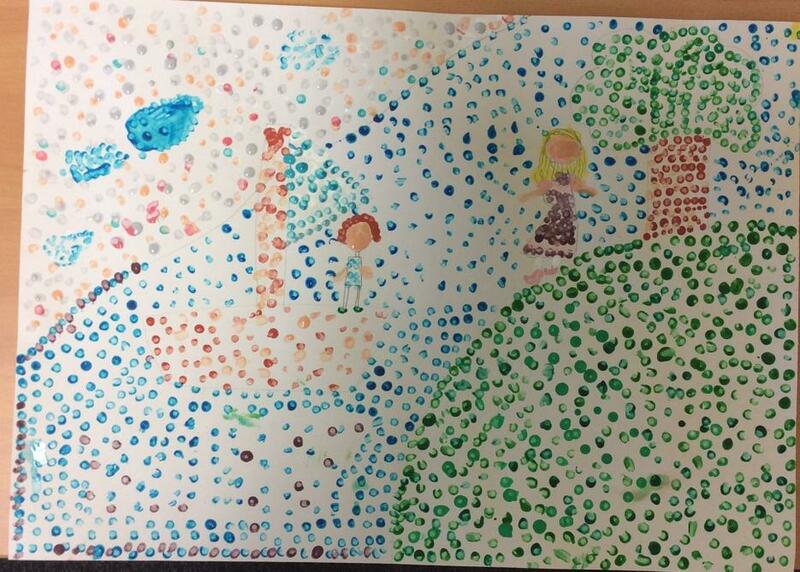 He became famous for developing the technique of pointillism when small dots were used to create pictures. 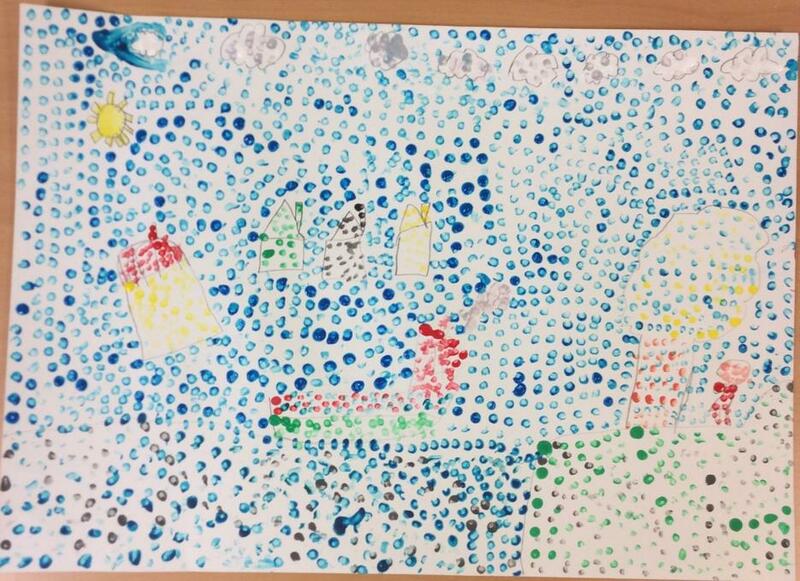 We have created our own pointillism pictures of rivers. 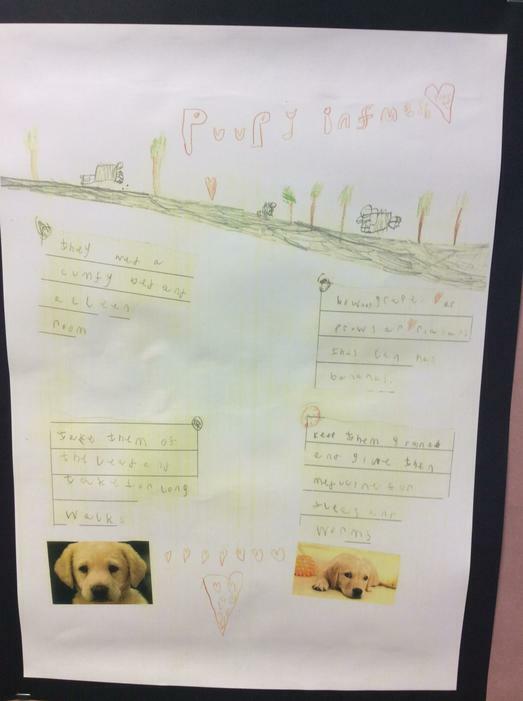 When learning about information texts we have created our leaflets all about looking after dogs. 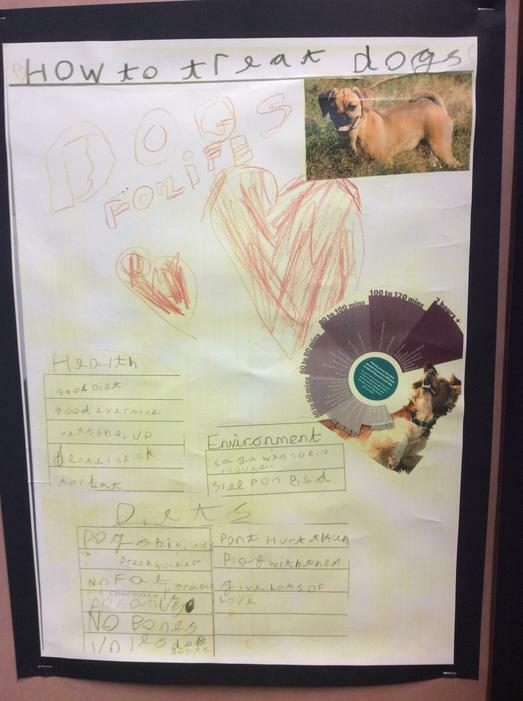 We looked on the internet and the PDSA website to research the topic, as well as print off pictures that we wanted to use on our leaflets. 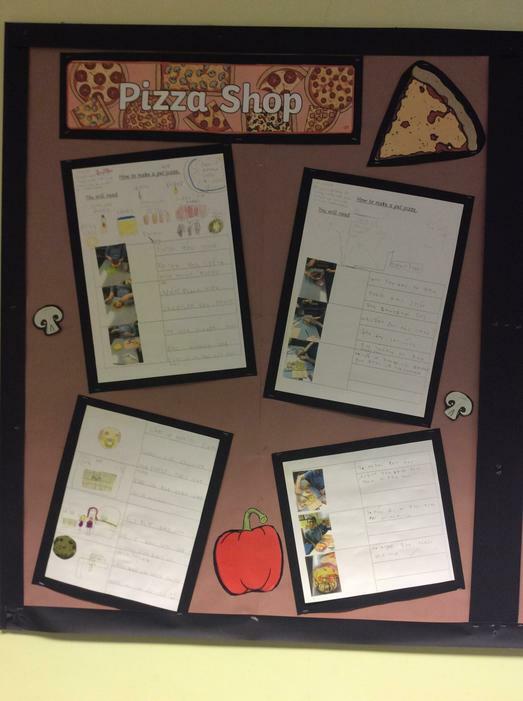 We hope you find them informative and interesting to read. 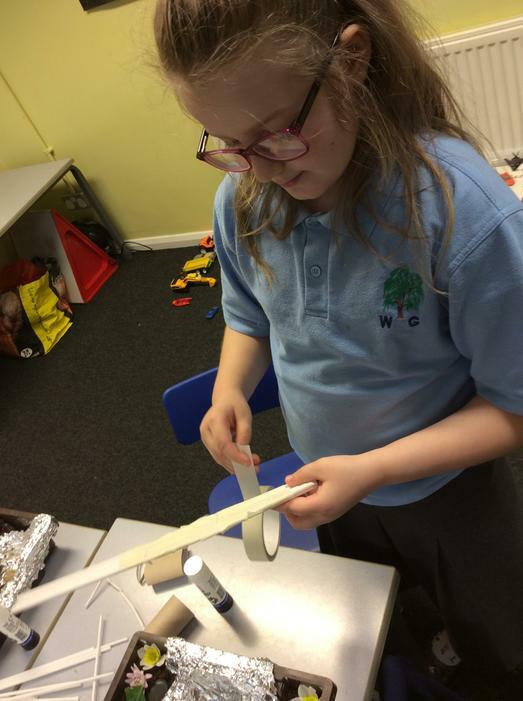 In English we have been learning about the features of instructions. 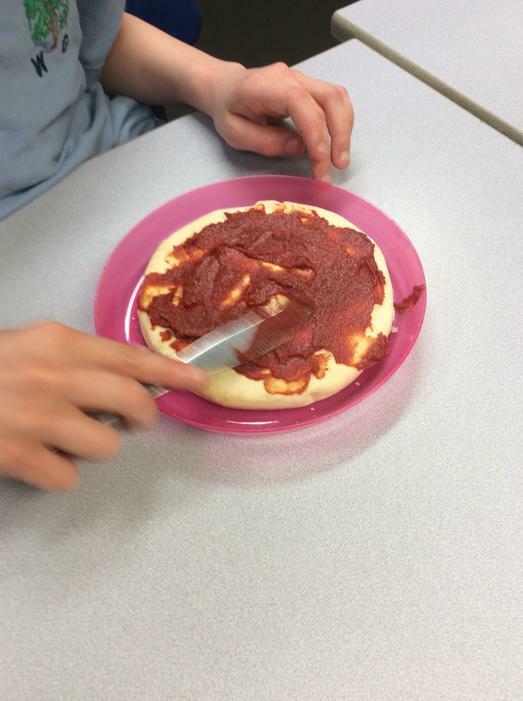 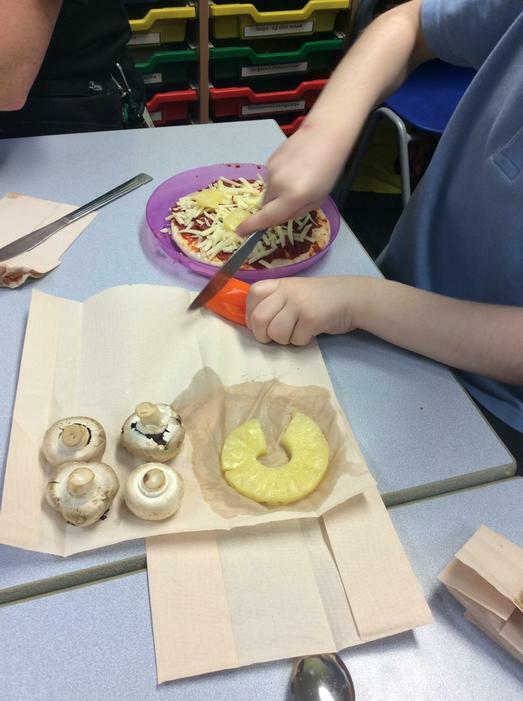 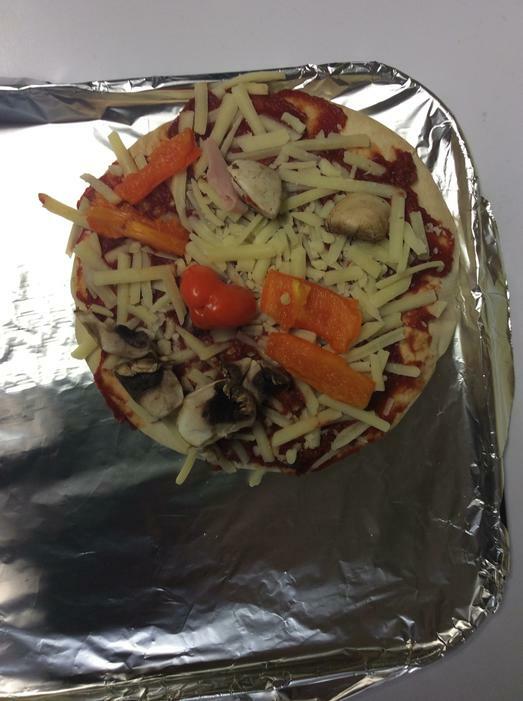 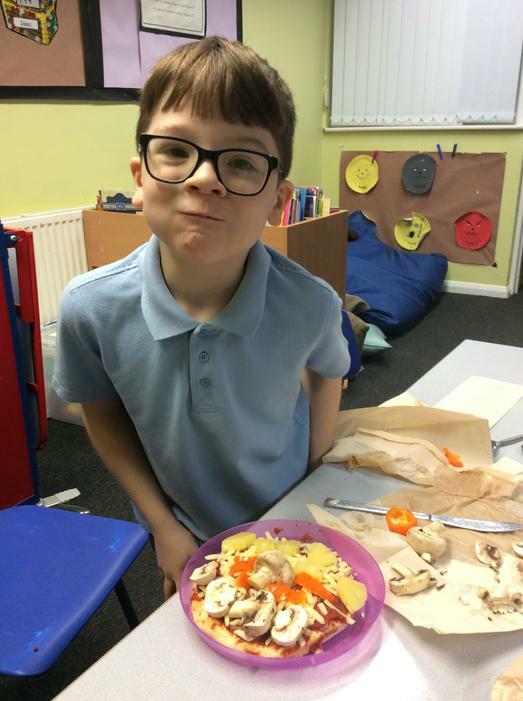 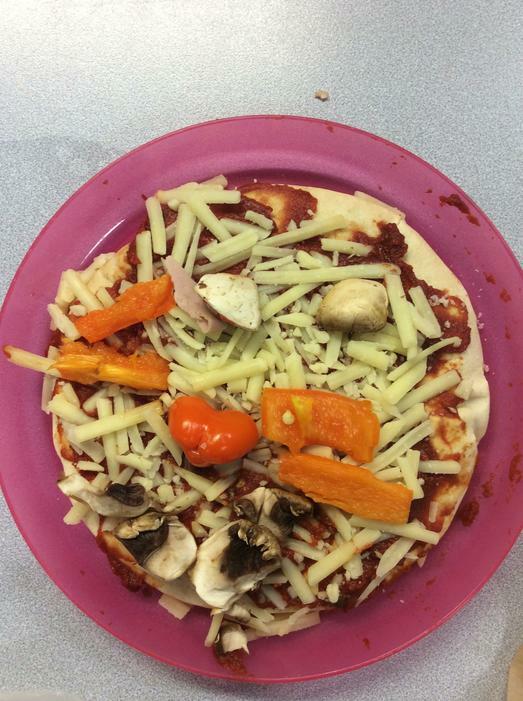 We made pizzas in class and then have written our own instructions. 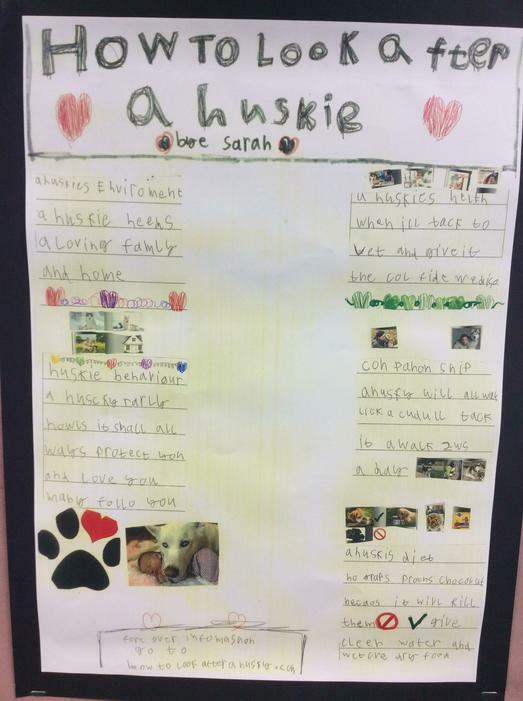 We made sure our instructions had a title, a what we need section, time connectives and used 'bossy' verbs. 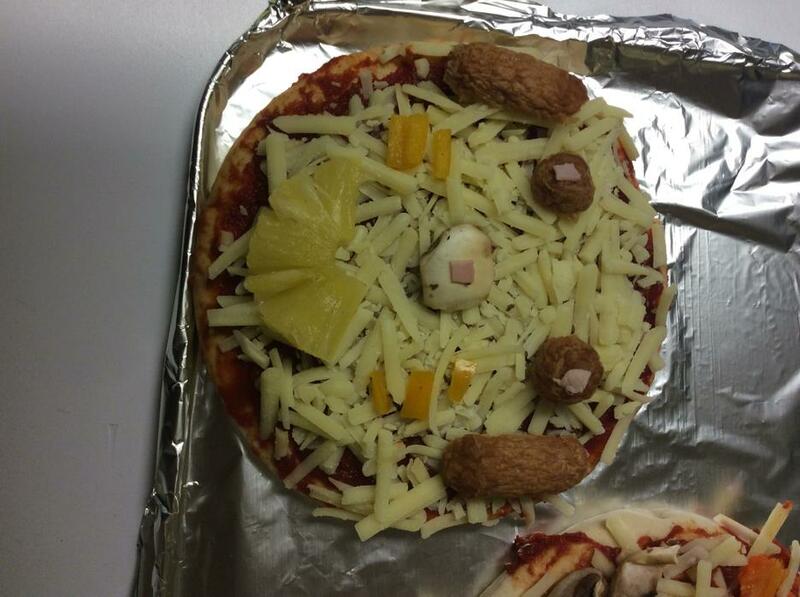 How to make a pet face pizza. 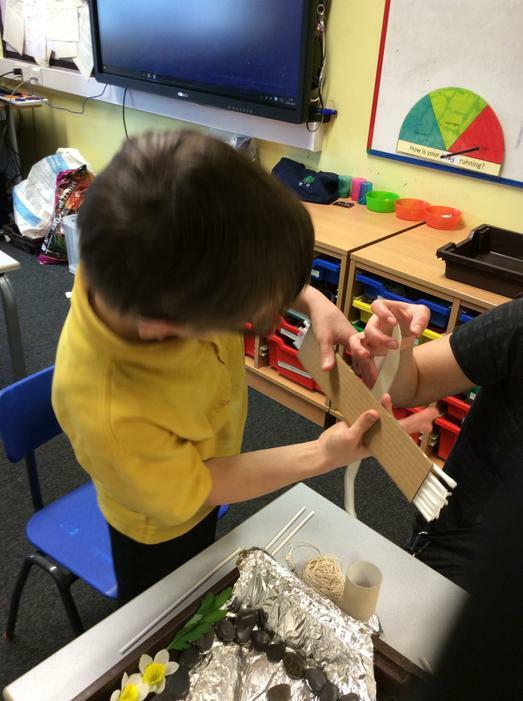 To link our work on instructions and our favourite pets, dogs, we have made dog puppets by following a series of instructions. 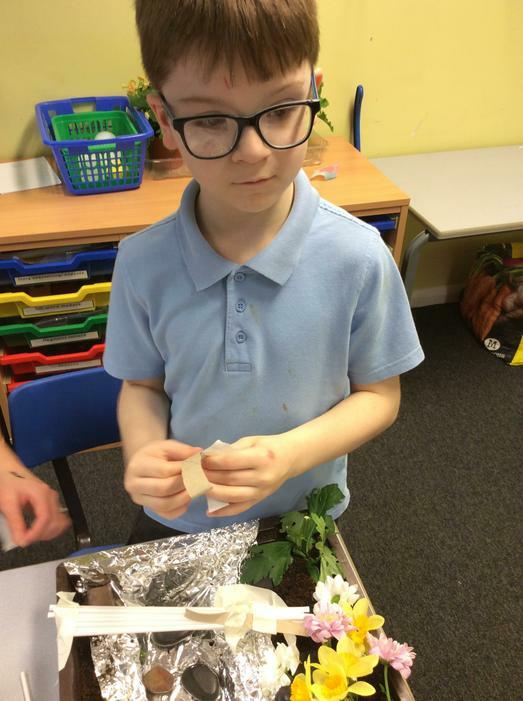 They took us a long time to create but we are proud of the finish products.